Whatsapp keeps adding new features to your application to maintain app edge. The Whatsapp available for Android is going to be a new feature. This new feature is Private Reply by which you can send a reply to any person's message in the group so that your reply will only appear to send a message. The rest of the group will not be able to see this message. 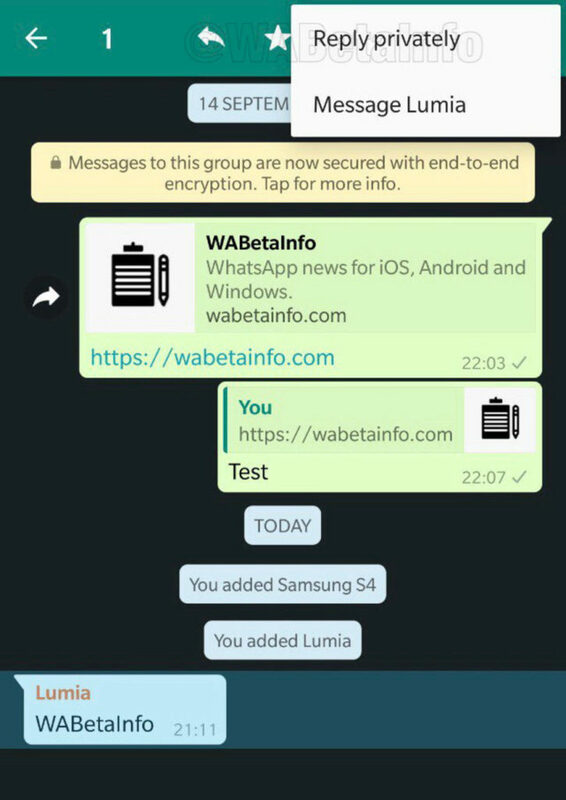 At this point, this feature can be used in the WhatsApp for Android's Beta application. So, to take advantage of this feature, first of all, download and install the latest Beta version of the WhatsApp. This feature is best for groups in which the posting option is only the group admin.